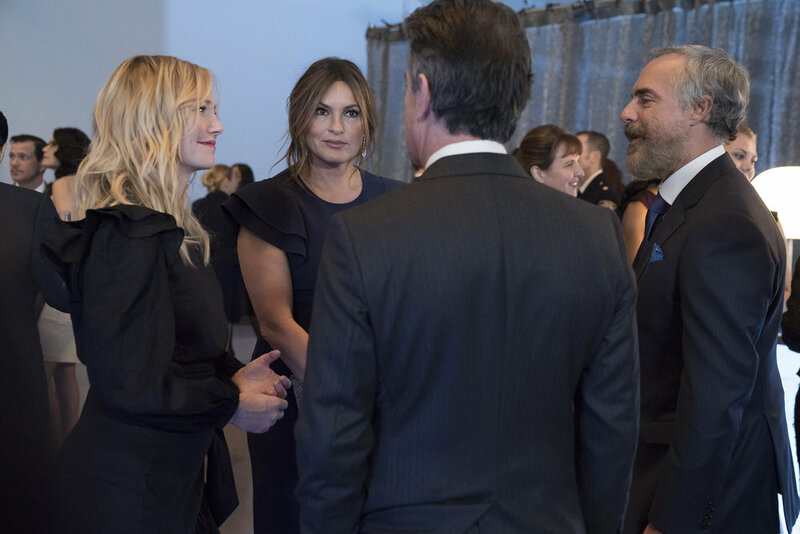 ATX TV Festival has announced a gaggle of new panels—during its June 6-9 summit in Austin, TX—including a screening and Q&A honoring one of the very best episodes of GREY’S ANATOMY. 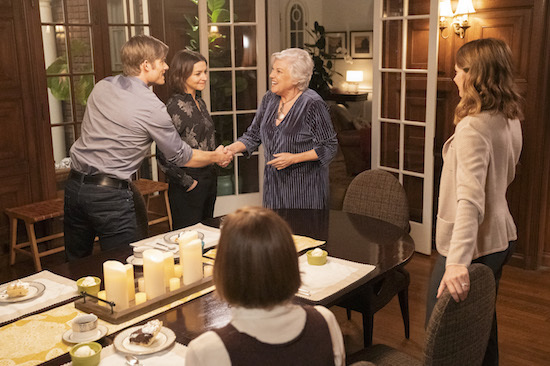 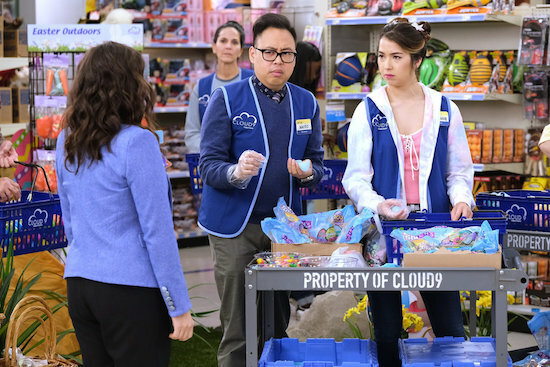 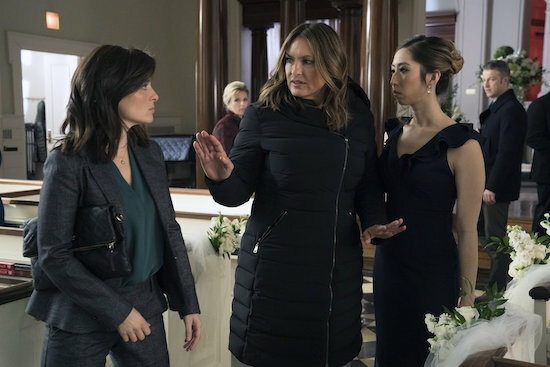 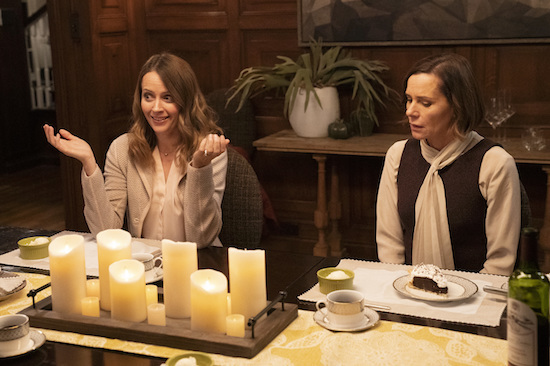 There’s a whole lot of family drama on the Thursday, April 11 episode of GREY’S ANATOMY, as Amelia (Caterina Scorsone) goes to New York and has a memorable meal with her sisters (Embeth Davidtz returning as Nancy and Amy Acker making her series debut as Kathleen). 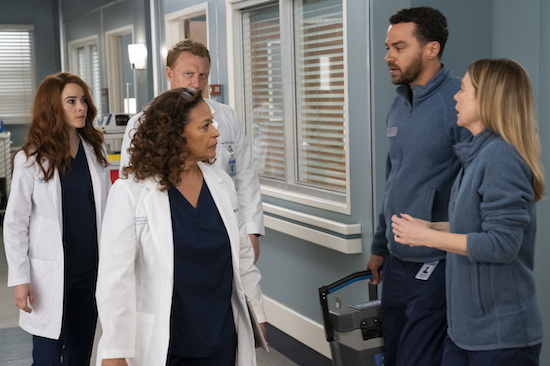 Megan (Abigail Spencer) is back on the Thursday, April 4 episode of GREY’S ANATOMY…and she has no idea Owen (Kevin McKidd) is about to have a kid with Teddy (Kim Raver). 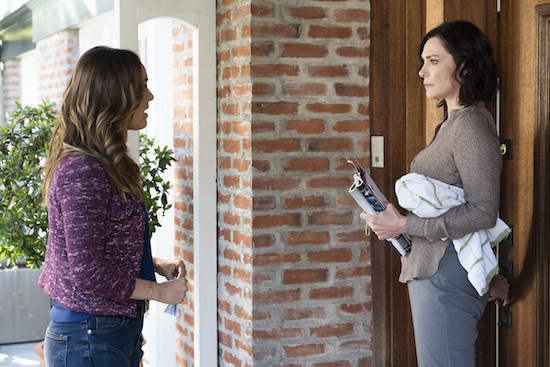 The Thursday, March 28 hour of GREY’S ANATOMY sheds more light on Jo’s meeting with the woman she thinks could be her mother (played by Michelle Forbes). 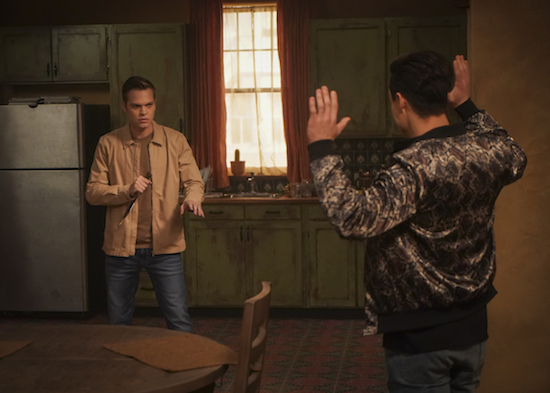 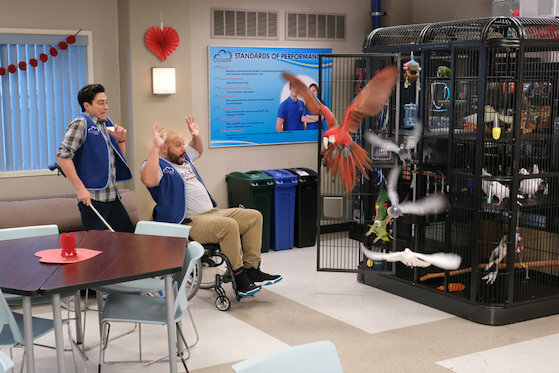 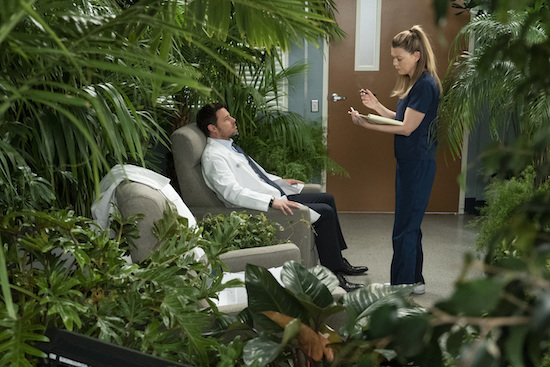 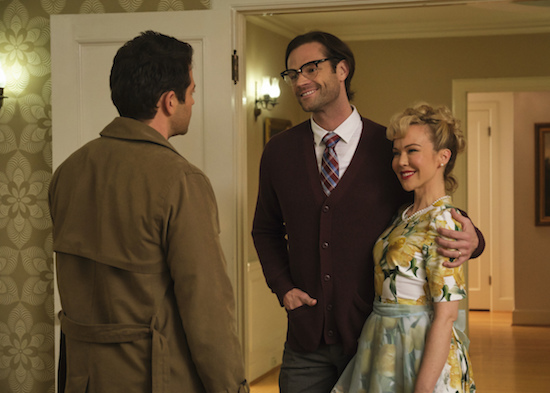 GREY’S ANATOMY introduces a new kind of medicine in the Thursday, March 21 episode: mood rooms. 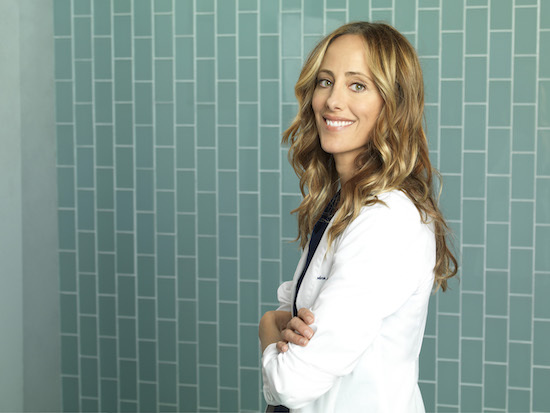 When Teddy (Kim Raver) returned full-time to GREY’S ANATOMY at the start of season 15, the pregnancy she was hiding could have led to stereotypical drama—especially since her longtime friend/baby’s father, Owen (Kevin McKidd), was very deeply entrenched with his off-on partner, Amelia (Caterina Scorsone). 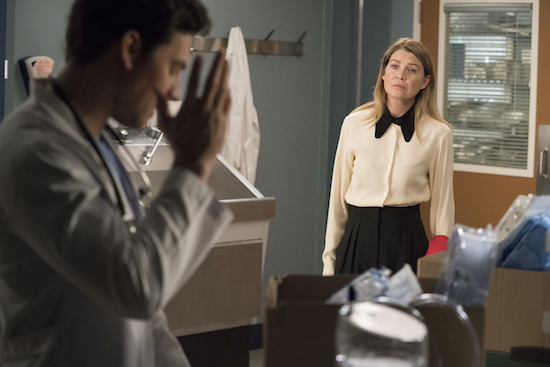 GREY’S ANATOMY’s Teddy (Kim Raver) and Owen (Kevin McKidd) may find that work is hitting a little close to home when they have to treat a couple who is expecting a child during the Thursday, March 14 episode.